Is the Pacific Gray Whale the Friendliest Sea Creature? Have you ever imagined having the chance to get up close and personal with possibly the most majestic and friendly of all sea animals – the Pacific gray whale? If not, we highly recommend a journey to experience the great gray whales of Baja, Mexico. Not only are they completely awe-inspiring to witness in real life, here are a few additional incredible facts about these mystical creatures. The gray whale – once hunted to the edge of extinction are extremely intelligent and social animals. 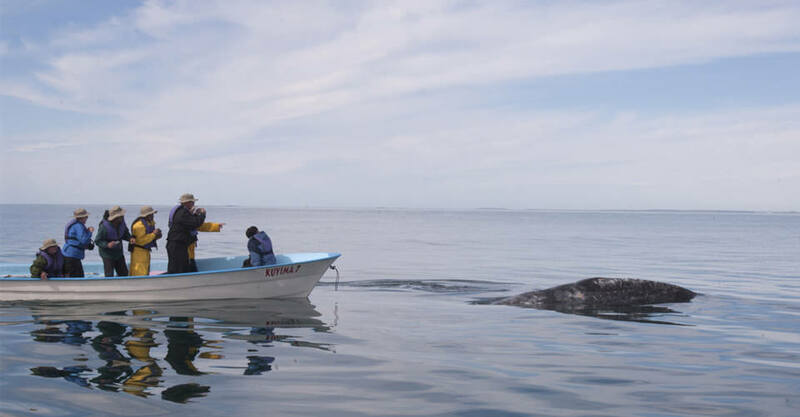 In fact, traveling in pods from Alaska’s Bering Sea to their traditional breeding and birthing grounds in the warm waters of Baja’s Pacific lagoons, the gray whale migration is the longest mammal migration on earth at nearly up 10,000 miles. 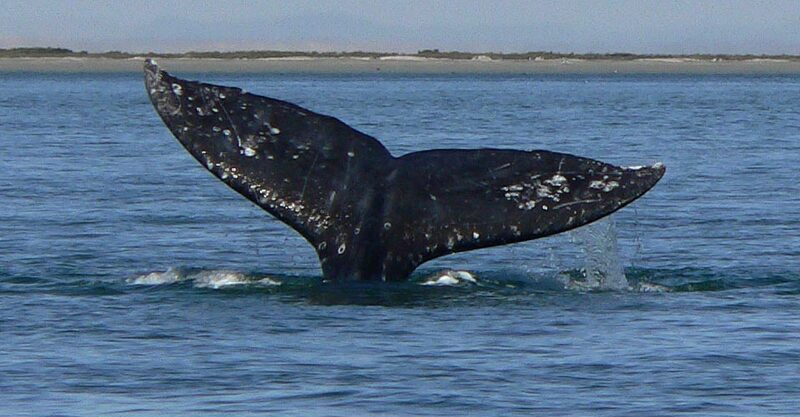 During this time up to 20,000 gray whales can be seen swimming together. 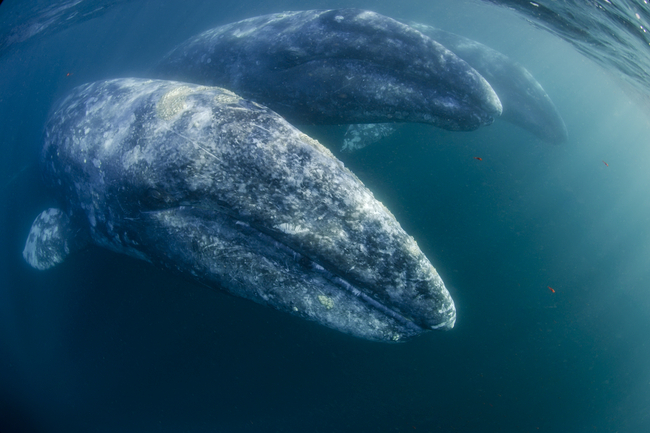 Often sticking together, gray whales use a system of communication that consists of loud low pitched moans, whines and croaks. Although relatively little is still known about the language itself, their communication can travel great lengths underwater. Body language is telling with these leviathans as well. Often they can be seen breaching the surface of the water, spyhopping and lobtailing (slapping their flukes against the water). 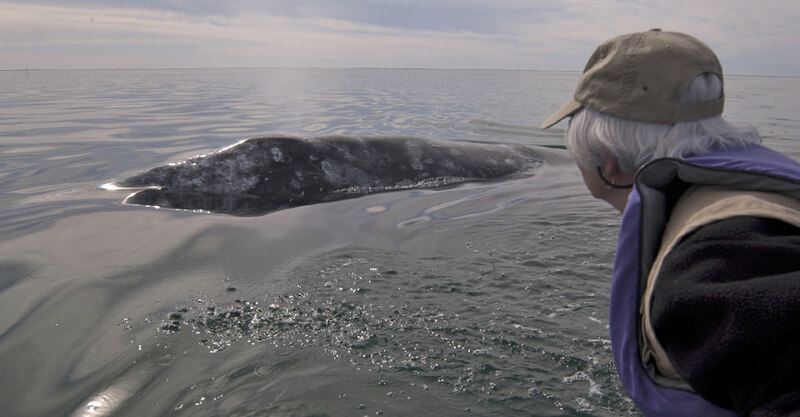 Whatever they’re trying to tell us, one thing is for certain, the gray whale is very friendly and is anything but shy. In Baja, for example, they often come right up to the boats and small skiffs of optimistic visitors, which you can really get a feel for in this short video. And if you’re really lucky you might even see a massive, fifty-foot mother gray whale with her calf up close and personal. If you want the once in a lifetime opportunity to see the great gray whales of Baja, take a trip south of the border with Nat Hab and WWF.